Our cruise director in 2007, the late Larry Smith, had visited Triton Bay earlier in that year with his friends Burt Jones and Maurine Shimlock. 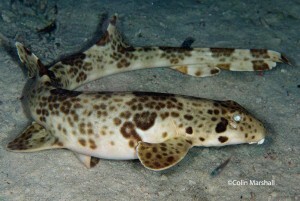 On our March trip with Larry, dives were made up of a potpourri of sites he, Burt and Maurine had pioneered coupled with a few explored by a preliminary Conservation International expedition in 2006. Primarily it was a hit-or-miss affair. Fortunately we hit the mark more often than not. And oh what fish and critters! When we left, we knew we would return. What we didn’t realize was just how long that would be. 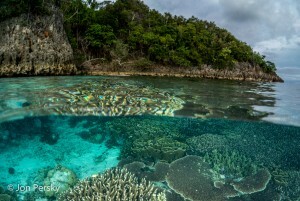 Shortly after our trip, Conservation International, realizing the pristine nature of the Bay, set up a field station to protect and monitor the area. But establishing a conservation program on the faraway coast inhabited by a scattering of villages and fishing camps unused to outsiders of any type, took longer to develop than suspected. During the intervening years Drs. Gerry Allen and Mark Erdmann, working through CI, were able to conduct a thorough survey of the prolific sea life. Their discoveries were even more amazing than expected. 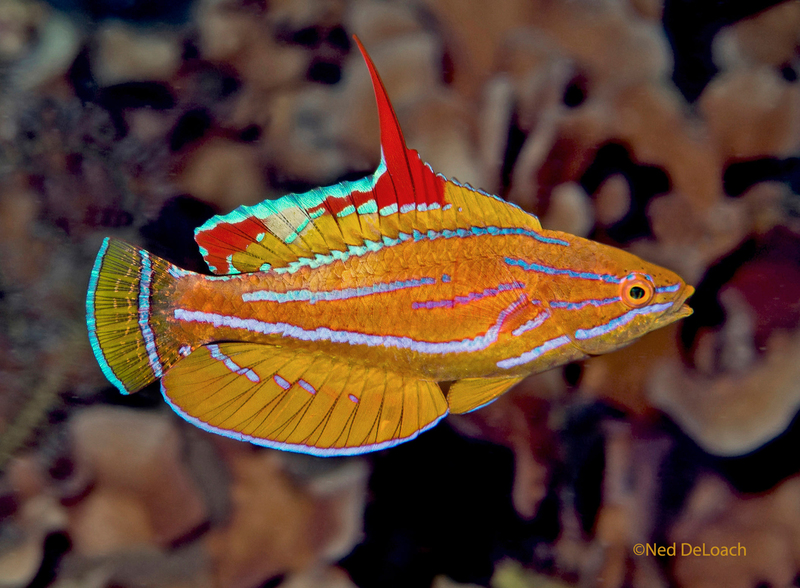 In preparation for our 2016 trip, we read an article by Dr. Allen on the Bird’s Head Seascape blog, describing Flasher Beach, a world-class site for observing flasherwrasses—one of our favorite groups of fishes. Not leaving anything to chance, Ned contacted Gerry for the exact location. Next it became the duty of Wendy Brown, our cruise director on the Dewi Nusantara, to organize our two-week itinerary so we could visit Flasher Beach as often as possible during late afternoon when the flashy fishes, numbering in the hundreds, show off their brightest colors and oversized fins during daily reproductive rituals. Earlier in the day of our first Flasher Beach dive, on another dive site, Janet Eyre, one of the REEF (Reef Environmental Education Foundation) fish surveyors on our trip, photographed two juvenile wrasses that she suspected were Cirrhilabrus humanni. 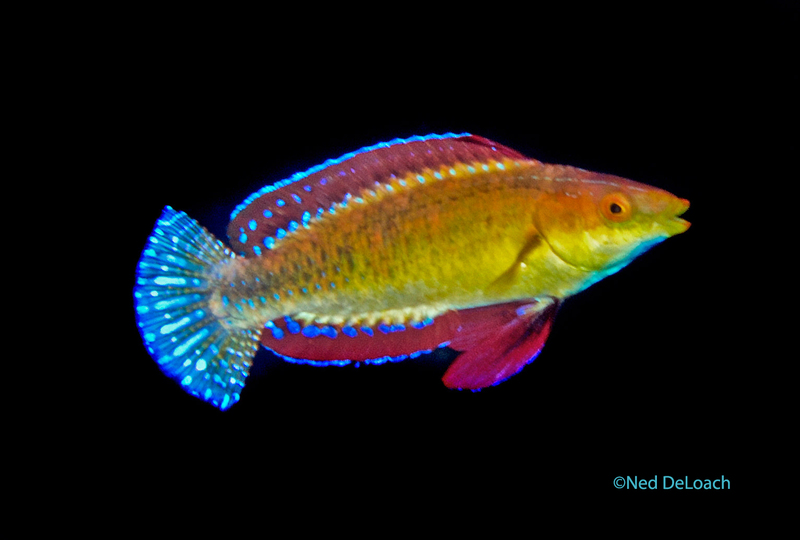 Humann’s Fairy Wrasse is a small fairywrasse that I discovered in 2010 off the island of Pura. Gerry and Mark subsequently collected, described and named Cirrhilabrus humanni in honor of our partner, Paul Humann. 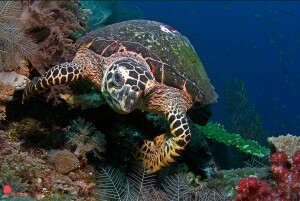 Up until this trip, we had only seen this species in the Alor region. “What a show – a real kick in the britches if there ever was one!” Ned exclaimed as he scrambled aboard the tender following our first of four Flasher Beach dives. 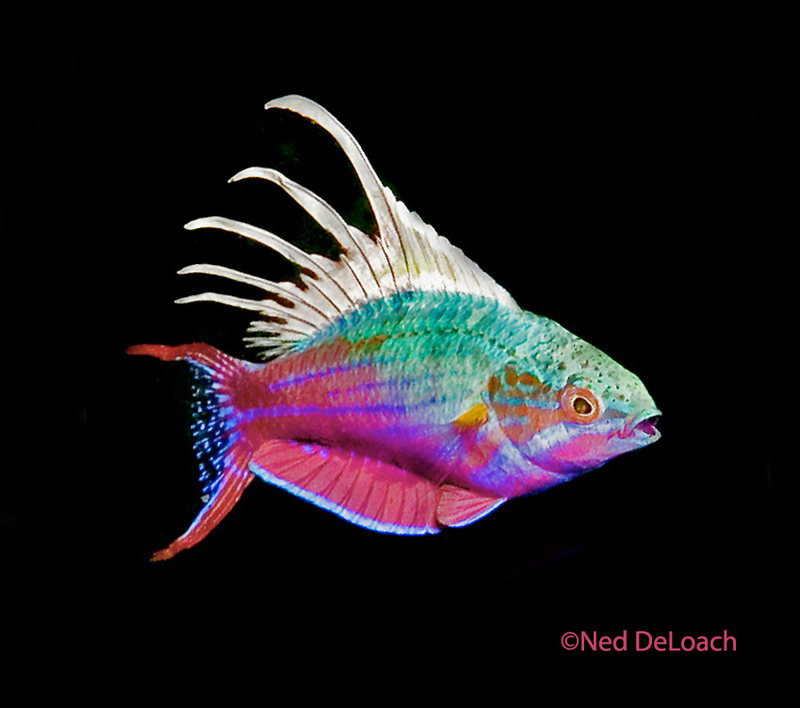 In all we saw three species of flashers, at least three hybrid flashers, (artifacts of the madcap spawning style) and several equally beautiful fairy wrasses including a scattering of adult Humann’s Fairy Wrasse mixed in with the high-flying aggregation. 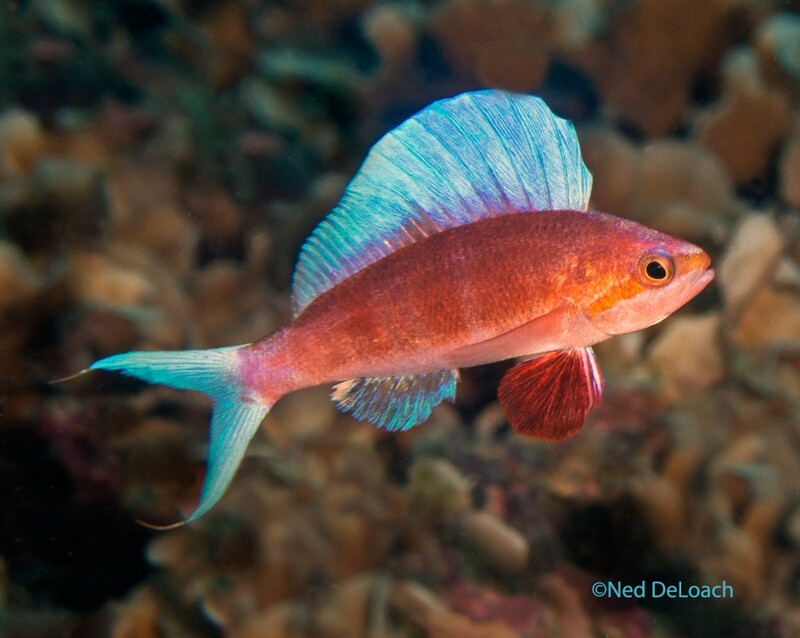 But the grand surprise of the dive were numerous Sailfin Anthias, Rabaulichthys altipinnis, a beautiful member of the anthias group of the seabass family, known only from the West Papua/Papua New Guinea/Coral Sea region, normally sighted below a hundred feet. The dream fish was an unexpected addition to the life lists of fish sightings for everyone aboard, including, Paul, Ned and me. 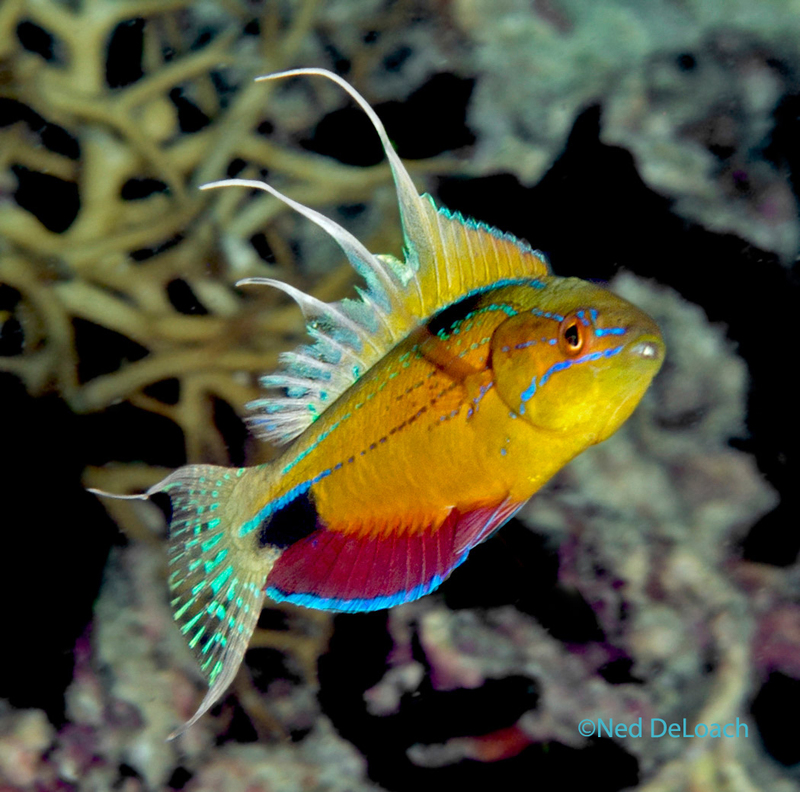 Four REEF surveyors conducted species and abundance surveys on all of our dives in the Bay. 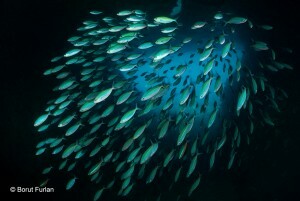 At our request, during one dive, they concentrated their survey efforts on the fish in the approximately 20 by 40 meter area encompassing the spawning aggregation. 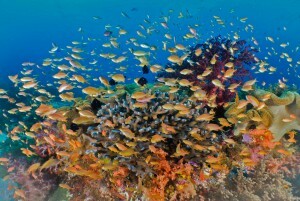 In roughly one hour, they counted more than 104 species including the flasherwrasses in the turbulent cloud of fishes. 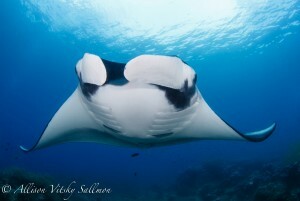 Their species count for the entire dive site topped 200 species. 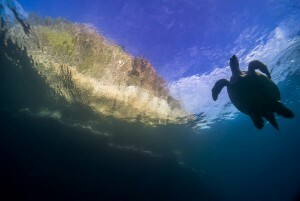 Flasher Beach lived up to its name and turned out to be one of our most memorable dives in fabulous Triton Bay. Anna DeLoach with her husband Ned and long-time friend Paul Humann are partners in New World Publications. 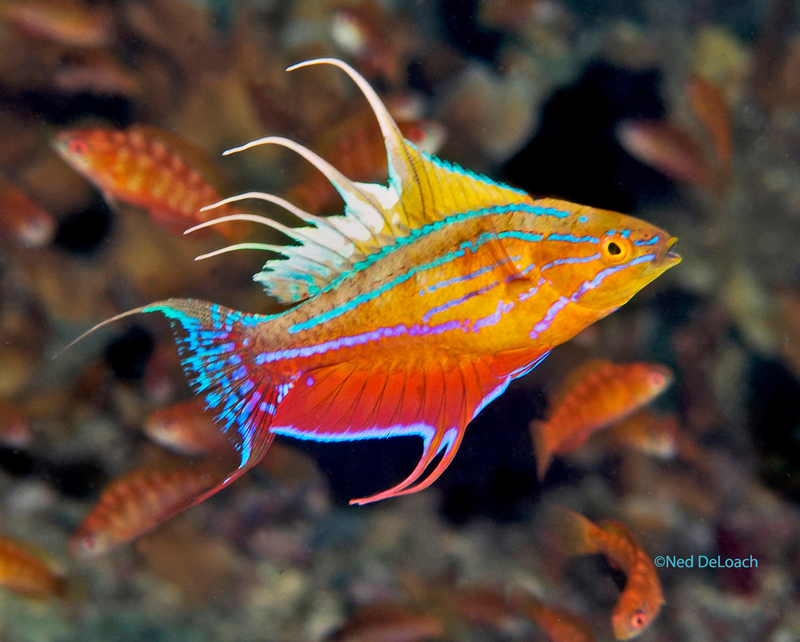 Their field guides (10 and counting) are the industry standard and are found at virtually every dive resort and on every liveaboard world-wide. 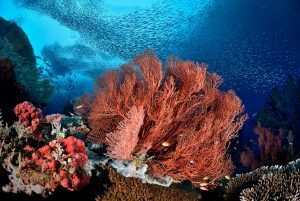 They are also the founders of REEF (Reef Environmental Education Foundation). 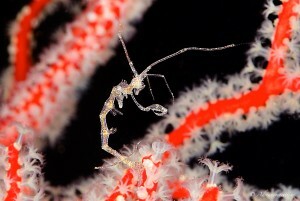 Their dive travels are chronicled at Marine Life Blog.